"Sincerest condolences, Maureen. RIP , old friend." "Maureen, I'm so sorry to be reading this about Bill. My..."
"Maureen and family, I am so sorry for your loss. You're all..."
"MY SINCERE CONDOLENCES FOR YOUR LOSS PLEASE TAKE COMFORT IN..."
PORTLAND - William "Bill" Lewis Cousins III, 69, of Limington, Maine, passed away quietly in his sleep in the early hours Wednesday morning, Feb. 6, 2019, at Maine Medical Center, surrounded by his loving family. He was born in Portland, Maine, on Sept. 11, 1949, the son of William L. Cousins II and Dorothy Smith. Bill attended Portland schools and graduated from the University of Southern Maine with a degree in education. He was a passionate educator, carpenter, outdoorsman and leader. What most defined him, was his love for his family. Bill is survived by his wife and best friend of nearly 42 years, Maureen Cousins; his son and daughter in-law, Jason Cousins and Jaime Costigan; his daughter, Briana Cousins and her partner, Aaron Parker; and grandchildren, Cassie Palmer, Fred "Liam" Palmer, Aidan Palmer, and Olivia Cousins. He is also survived by his daughter from a previous marriage, Angie Cousins Merold, and her children, Jeremy and Carissa Thiboutot; his two brothers, Tim Cousins of Greer, S.C., and Steve Cousins of Marshfield, Wis.; as well as sisters, Patty Cousins of Columbia, S.C., Cindy Gilbert of Lexington, S.C., Dorothy Bender of Biddeford, Maine, and Diana Maddocks of Warren, Maine. 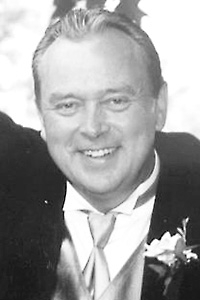 Friends and relatives may call at the Dennett, Craig & Pate Funeral Home at 13 Portland Road, Buxton, Maine, on Monday, Feb. 11, 2019, from 2 to 4 p.m., and are invited to join a service to celebrate his life at 4 p.m. A reception will follow at The Old White Church, 15 Salmon Falls Road, Buxton, Maine.